The dream of any DevOps solution is to make the provisioning and deployment to environments seamless. In this session we will show you how this dream can be achieved using the latest advances in Visual Studio Team Services and Azure. We will show how you can use utilise Azure Resource Templates to define your environment then the latest features of VSTS Release Management to create an end to end deployment of you environment and application, with appropriate testing. We will also discuss how these techniques could potentially be used for on-premises scenarios now and in the future. We're meeting in Campus North's Auditorium, through the back of Bunker Coffee and Kitchen on the corner of Carliol Square. Come along from 18:00 and grab a drink - the presentation will start at 18:30. We'll look forward to seeing you there. NEBytes July 2015 - New Home! Join North East Bytes for the first event in our brand new home! We're very happy to be running our events at Campus North in the heart of Newcastle from this month. The format of our events won't be changing (but there will be added beer!). For the uninitiated Twillio is an on-line service that makes it easy add support for SMS and phone calls to your web/ mobile apps. Using a few lines of code you can have your application up and running, sending/recieving SMS messages or even making telephone calls for you. Yes really! No hardware needed, no SIM cards and certainly no need to run any new cables to your premises! Enable SMS based two factor authentication for your apps - Because we all know how secure email is...! Build your own PBX (i.e. Telephone menu and multi user voicemail) in under half an hour. We'll be writing code, mainly C#, with a dash of PHP in places and probably some good old ASP MVC too. Everything I demonstrate will be easily ported to the language of your choice. Mark is a Software Development Team Lead who has worked on software projects from Military Communications to printing best before dates on ready meals. He favours the Microsoft Technology Stack, C#, MVC and Team Foundation Server, and is a Certified Scrum Master and Professional. When he isn't ranting about code or Scrum he is trying to convince his two young daughters software development is cool. In this session we will look at an introduction to the Azure Service Bus and its capabilities to deliver low cost massive scale messaging. We will also look at some demo's of how to use the service bus and some real world use cases. Michael Stephenson is a UK based integration and cloud specialise who has worked with many consultancies and customers building hybrid integration solutions using Microsoft technologies such as BizTalk & Azure. Michael is also a Pluralsight trainer and blogger on integration and architecture related topics. Michael has been a Microsoft MVP for 6 years. We look forward to seeing you at Campus North on the 15th! Join North East Bytes and SharePoint User Group UK for an evening of Azure and Office 365. We have two new speakers to Newcastle, with a wealth of techncial experience between them looking to impart their wisdom on us. While this push to cloud is both great and exciting, it can be often time consuming, tedious and prone to errors if most of our work is undertaken manually. In this talk we will explore the current techniques for automating the process of provisioning many site collections, team sites, pages and web parts, user security etc, against both Cloud Hosted Office 365 and on premise SharePoint 2013. Specifically, we will look at taking real world user requirements and then letting these drive the provisioning through community initiatives as well as writing bespoke PowerShell and Provider Hosted Apps / CSOM. Join Daniel Westerdale, Office 365 Jedi, to demonstrate some simple approaches to automatrin to allow you to avoid the hazards caused by manual activity. The session is targeted towards both IT Pro, Power users and the developer audience. Our second session of the evening, following a break for networking and refreshements is delivered by Simon Doy is a strongly developer focussed afair, but entirely relevent to Solution and Enterprise Architect level staff looking at considering development and utilization strategies around Azure. This talk is a developer/solution architecture focused session. It will take a full trust code application built on the SharePoint 2013 platform and discuss how it could be converted to run in the Cloud on the Office 365 and Azure platform. We’ll introduce the application and its key requirements. The existing application architecture will be explained and then we will look at how we could convert the application into a cloud based SharePoint Add-In. There were a number of issues with the original application and the Cloud allows us to help solve those. The Cloud and the SharePoint Add-In model also introduce more problems so we’ll cover some techniques to help. After discussing the new architecture we will then pick out some key areas and build those components in the cloud. We'll conclude with a Q&A, so bring your questions, there will be a wealth of talent on hand to help work out your queries. What happened to the MVP Windows Server 2003 End of Service Roadshow? This week we took the difficult decision to cancel our event. It's not something that we like to do, and we'd tried to give this one more of a chance by delaying it by three weeks to enable Microsoft to do some more promotion on it. We never want to cancel events, and we especially didn't want to in this case because we felt we were already messing about the few people who signed up for the first date. In this case it seems that the topic just isn't popular, and a number of the other events around the country were also cancelled. While it would be nice to think that most people weren't interested because their Server 2003 migrations are already under control, industry research would suggest that isn't the case. A lot of the organisations who haven't yet made any effort to move on from Server 2003 either aren't prioritising resources to do it, or they feel like they're stuck with it because of some application, or they don't perceive it as broken, so they don't intend to fix it. We had hoped that we'd be able to assist in reducing some of those barriers. We do feel bad about this, especially towards the pro-active guys who were going to come along to try to move their organisations forward, so in lieu of an event we're going to do this: In the coming days, we're going to take the content that we were putting together for the event and put it together into a collection of content here on nebytes.net. This should cover the main points that you would have taken away from the evening event, and may also help some extra people further afield. We hope that you all find it useful. This September, we're very happy to bring you a special event in conjunction with Microsoft. MVP Windows Server 2003 End of Service Roadshow. · What does End of Support mean? Learn about what end of support means for your business and the implications of running unsupported technology. · Why Windows Server 2012 and Azure? Times have changed since 2003 and so have Microsoft’s product offerings. Learn about the increased functionality in Windows Server 2012 and Azure and how they can help your business needs. · How do you move to Windows Server 2012? Where to start can often be a daunting task when it comes to server migrations. This session will outline the methodology you should apply when thinking of migrating, and more importantly, how to migrate shown through hands on demos. Application compatibility presents a potential barrier to upgrading. See first hand tools, hints and tips for upgrading your applications to Windows Server 2012 or to Azure. On Monday 25th November, St James' Park in Newcastle is the venue for three free events for IT professionals covering a range of Microsoft technologies. During the day, the MVP Cloud OS Relay and SQL Relay 2012R2 have great line-ups of MVPs and other experts in Windows Server, System Center, Hyper-V, Office 365, Azure, SQL and Business Intelligence. In the evening, the Windows User Group takes over with an event covering Windows 8.1, deployment, MDOP and Office 2013. The SQL Relay event has sold out, but if you're desperately interested in any of the sessions at http://www.sqlrelay.co.uk/events/2013r2/Newcastle.html you can register for the Cloud OS event and switch tracks throughout the day if there's capacity in the room. Hopefully I'll see you there! Over the coming months, Microsoft are running events for IT professionals across the length and breadth of the UK, including a return to the North East. I went to the Microsoft Campus last week and had a taste of the new format, which is unlike the TechNet presentations of the past. These events are smaller and very interactive - there's a real opportunity for attendees to shape the topics covered throughout the day. This year the UK Tech.Days team have changed the format of our traditional Tech.Days theatre events into a series of ‘Boot Camp’ style seminars. The aim of these is to allow IT Professionals to have more discussion time with evangelists like Andrew Fryer, and each other to share common problems and solutions – and we’re looking for your help to share these with your users. The Newcastle Event will host approx. 70 people with a mixture of discussions and practical demonstration. Although there will be a loose agenda, it will be PowerPoint-free event, allowing the hosts to focus on the questions that our guests ask. 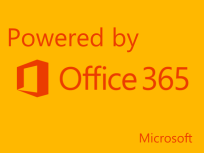 · How key Microsoft technologies such as System Center 2012, SharePoint 2010, Windows Server 2008R2, Exchange 2010 or Office 365 and Windows 7 come together to help you deliver flexibility and support for devices and desktops. · How to use the latest tools to manage your estate, deliver applications flexibly, manage devices such as iOS and Android as well as Windows, implement IP Sec, reduce anti-malware costs, implement Direct Access and secure remote access. · We'll also help you think about what you need to build into a "Bring your own device" or BYOD policy. At the end there was a discussion about books to help you get started with PowerShell. There are some really good books out there, but to reduce the cost of entry, I'd suggest you start with some free ebooks. You can check out this post on my blog which links to some resources, and you may also find PowerShell cheat sheets useful (I did when I was getting used to the syntax). Also, look out for announcements around the public availability of the Microsoft Script Explorer for Windows PowerShell. I also asked whether anyone would be interested in a North East PowerShell Script Club? I want to discuss with those who might want to take part about how they'd like it to work for them, but one idea is to meet for half an hour before the normal NEBytes meetings so that we can share challenges we've faced or successes we've had, with the aim that we all get better through sharing our experiences. If that's of interest to you, drop me an email to jonathan at nebytes.net or @jonoble on Twitter. For this month’s event on Wednesday 18th, we’ve got C# MVP Gary Short coming to talk about “technical debt” – the cost of not following good practice in development. I’m not a developer personally, by I’ve still inherited code and had to further develop on stuff that has been basically a mess, and putting it right is certainly costly in terms of time and stress levels! Gary’s presentation will cover how to put a financial cost on this and cover some measures to identify problem areas in a code base. In the other half of the evening, we’re doing something that we’ve planned since forming NEBytes – opening up the floor to the attendees. This month we’ve got four short talks planned, covering Windows Phone 7, Cloud Computing, Open Source .Net and ASP.Net MVC. More details are available on the events page, or head straight over to Eventbrite to register. Following our successful launch event, we’re hoping to keep up the momentum by diving a bit deeper into a couple of subjects on Wednesday 17th February. Oliver Sturm and Dr Dan Oliver have both been here before to speak at VBUG Newcastle and we’re glad to have them back to present at the 2nd NEBytes meeting. We’re also glad to welcome Conrad Sidey who is teaming up with Dan to cover Direct Access after Oliver has shared some new dynamic features of C# 4.0. See all the details on the Events page or just head over to Eventbrite and register now. Incidentally, if you were at the launch with your camera, or feel like bringing one along to future events, you can add your photos to the NEBytes Flickr Group.